For many years I had appreciated the vastly underrated Mercedes C36 AMG. Fortunately this also means under valued and in 2013 I began casually looking for a suitable car. I was quite open to what I would consider, being a compulsive tinkerer I was happy to look at cars that needed a little work, specification and history were more relevant to me. With work commitments and motor racing the searching came and went until mid 2014 when I realised the shallow pool of available cars were getting shallower, even more so as I only wanted a Silver one and asking prices were beginning to climb. 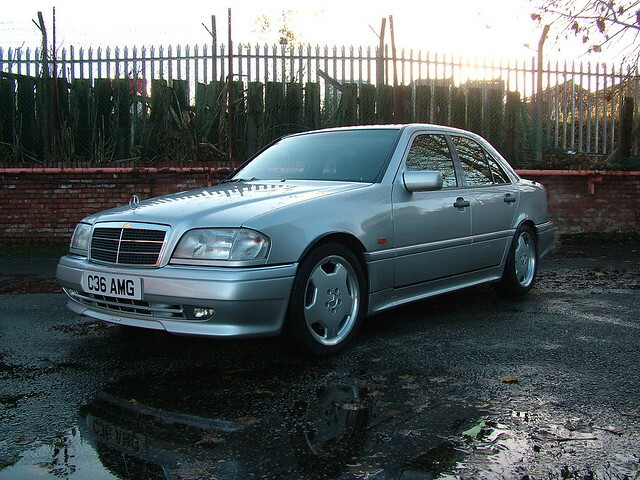 I looked at more than I cared to recall, late 2014 a nice 1995 C36 AMG appeared on one of the classic car for sale sites, the price was at the upper end of the asking prices, but it had low miles and good history, what it did not have was many options, even down to it still having cloth trim. Though I dismissed it on specification, it did become my benchmark to judge other cars against. My search continued but I kept coming back to this car. In the end I decided that the best course of action was to have a good crawl over it. The seller had known the car for several years and was only selling as he had purchased a nice R129 SL. Apart from the odd stone chip it was in exceptional condition, far and away the best I had seen. Very original, even down to the correct period Blaupunkt stereo. It was originally supplied by Ciceley Continental in Preston, Lancashire to the Warburtons Bakery company. AMG had been a well known and respected tuner, modifier and builder of race cars since the late 1960’s. Following a co-operation agreement between Mercedes and AMG in the early 1990’s it paved the way for AMG products to be available through Mercedes Benz dealers. Though not a particularly well known model, the C36 AMG can be considered the Grandfather of the current crop of high performance AMG models. The C36 AMG was the first model that was developed by Mercedes-Benz in collaboration with AMG, as an exclusive vehicle with full Mercedes-Benz warranty. The base for the vehicle was the new C class W202 which had been introduced in May 1993 to replace the outgoing W201 190 series. Based on the C280 Sport, this was taken partially built from the Mercedes Benz factory in Bremen to the AMG factory at Affalterbach. The six cylinder engine was modified to 3.6Ltr. resulting in an impressive 276 Hp (AMG later conceded that since the engine was hand-assembled, power outputs could vary slightly from 276Hp to 287Hp) with a peak of 385 Nm Torque. From 0-62Mph it took about 6 seconds and the top speed was electronically limited at 155Mph (250 Km/h). Featuring lowered and uprated suspension the C36 AMG also had further visual changes with its own front and rear bumpers as well as side skirts along with faux Carbon Fibre on the B pillars. The interior was differentiated by sport seats, AMG specific instruments, AMG leather steering wheel, faux Carbon fibre effect (though USA models had Wood effect) and many other gadgets that were included as standard, such as electric sunroof, centre console and electric windows. The brakes were also different than standard C class models. On the front axle the big 320mm discs and 4 pot caliper brakes of the SL 600 were used, though later models received cheaper sliding calipers, while on the rear the brakes of the E 420. 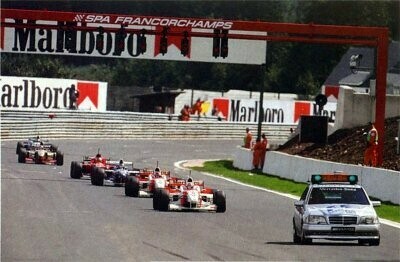 The introduction of the C36 AMG did mark the beginning of an identifier that carries on to this day. Regular Mercedes models, even AMG sport line will be badged as a 3 digit number, C350 for example, whereas a genuine full fat AMG will be badged as a 2 digit number, C36, C43, C55 etc. The production life of the C36 ran from 1994 to 1997, the run remaining pretty much unchanged except the change from 4 speed to 5 speed Auto in 1996 along with some minor trim changes. 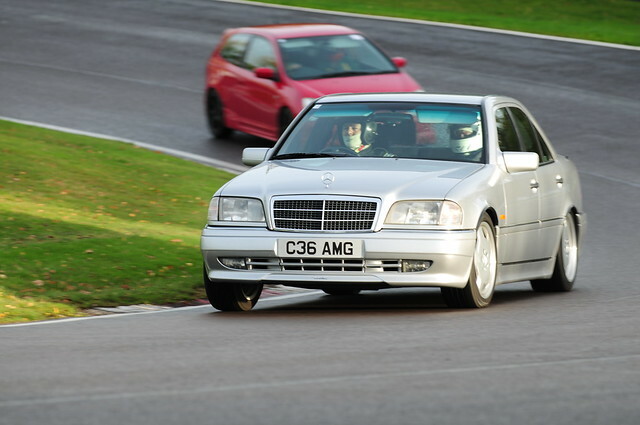 The C36 AMG was replaced by the V8 engined C43 AMG for the 1998 model year. The first registered keeper was Warburtons Bakery, it was the personal transport of Tom Warburton who had been Co-Chairman of Warburtons in the 1970’s and 1980’s. Tom was a bit of a car enthusiast and had raced Minis in the 1960’s and in later years Rallied Austin Healeys in Historic Rallies. By 1999 and just over 50k miles, the C36 AMG moved to its second custodian who owned it for 15 years and put just 30k miles on in that time. Reputedly never venturing out in the rain, it led a charmed life. 2014 the car was doing very few miles, the aging owner decided to find it a new home. The third custodian had known the car for several years and being a Mercedes enthusiast continued to pamper the C36. His ownership was quite short lived as a Mercedes SL took his eye. We purchased the C36 in April 2015 after looking for a suitable car for around 18 months. Radio/Stereo was not included in your £40,000 basic purchase price. The optional audio range could be factory fitted, dealer fitted or aftermarket fitted. Ours was dealer fitted and it still retains its original Blaupunkt Pasadena DJ stereo. 222 - Right Front Seat, Electrically Adjustable. 240 - Outside Temperature Sensor. 341 - Additional Blinker Lamps. 362 - Right Hand Drive. 420 - Automatic Transmission, Floor Shift. 443 - TEMPOMAT (Cruise Control), Adj. Steering Column. 461 - Instrument with Miles Ind. & English Legend. 570 - Folding armrest front w202/210 stowage box front with armrest. 586 - A/C and Electric Windows. 593 - All-round WD-Green Glass, Heated Rear Window-ESG,BF. 613 - Lamp Unit - Asymmetrical, LH Traffic. 655 - Sports Suspension with Light Alloy Wheels, 5-hole. 668 - Packaging for Shipping Vehicles with Tie-Down Hook. 772 - AMG Styling Package—Front Spoiler, Side Skirt. 774 - Shell Modification for AMG wheels. 833 - Additional Parts for U.K. Vehicle Version. 956 - Equipment Package Sport. 957 - AMG Sport Package Exterior. Values of the C36 AMG are also firming up, unfortunately the pool of available cars is shallow, nice cars even more so. Like the BMW M3 they have been cheap enough to attract the type of owner who have skimped on the maintenance made them look like they have crashed into Halfords. That said, there are still nice cars out there and potentially for less than £5000 you may find a nice example that will hit 0-60 in a tickle over 6 seconds and run all the way to the limited top speed of 155Mph. Of the original 378(est.) brought into the UK, the likes of “HowManyLeft.co.uk” claims there were 103 licensed and 71 registered on SORN by the end of 2014.